Wellington band City Oh Sigh, formed in 2009, make whimsical indie/folk music their business. The songs are the creation of singer/cellist Kate Uhe, who began writing after stints playing with Ladybird, Blackbelles, Shiver Like Timber, and Planet Earth, in New Zealand and internationally. The result is thoughtful acoustic pop, filled with introspective, yet universal lyrics. Accompanying Uhe are Catherine Henehan and Sarah Smythe on guitar/trumpet and Rhodes respectively. The combination of instruments allows for a rich sound, complete and considerate. Classically-trained musicians, their attention to dynamics, and variations in time signature make the music all the more intriguing. According to their Myspace page, the band's influences include Brahms, Bach and Beethoven, as well as Andrew Bird and Iron and Wine, but comparisons can also be made with Sufjan Stevens' more pensive compositions. 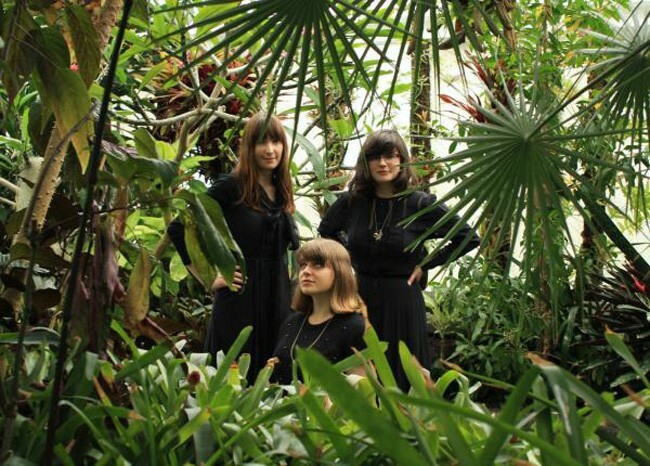 In their spare time, the three musicians also feature in Wellington's all-female eight-piece ensemble St Rupertsberg. The presence of these three artists is sure to be felt around New Zealand for years to come.